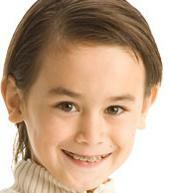 The American Association of Orthodontists recommends that your child get an orthodontic check-up no later than age 7. Our Board Certified Orthodontists can spot subtle problems with jaw growth and emerging teeth while some baby teeth are still present. Please contact us to schedule an appointment for your child’s free check-up. Here are some indications that your child might need early orthodontic treatment. Early orthodontic treatment, if indicated, can help minimize the need for more extensive treatment at a later date. In some cases, we will be able to achieve results that wouldn’t be possible once the face and jaws have finished growing. Contact us to schedule a FREE examination to learn more. A consultation with our Board Certified Orthodontist is the best way to determined if you can benefit from orthodontic treatment. During the initial consultation and examination, we will present you with the optimal treatment options based on the conditions of your teeth, gums and supporting bone. Teeth are crowded or overlapping, not enough room for teeth. There are gaps between the teeth. There is excessive protrusion of the upper front teeth – "buck teeth". The upper teeth fit inside the arch of the lower teeth or protruding lower teeth. The upper front teeth cover the lower front teeth excessively. There is a gap betwen the upper and lower front teeth when bite down. The center of the upper front teeth and lower front teeth do not line up properly. The upper back teeth fit inside, rather than outside of the lowers. Summit Orthodontics® is a federally registered trademark of Summit Orthodontics. ©2010 Summit Orthodontics. All rights reserved. Proud member of the American Association of Orthodontists. Diplomates of the American Board of Orthodontics. Disclaimer: The information contained in this website is for general information purposes only. We make no representations or warranties of any kind about the completeness, accuracy, or suitability with respect to the information, products, services, or related graphics contained on the website for any purpose. Types of Braces: Metal Braces, Clear Braces, Damon System Braces and Invisalign aligners. Locations: Chino, CA at Chino Spectrum, Fontana, CA at Falcon Ridge, and Upland, CA at Colonies Crossroads. Local Areas: Chino CA, Chino Hills CA, Diamond Bar CA, Pomona CA, Claremont CA, Ontario CA, Upland CA, Rancho Cucamonga CA, Fontana CA, Rialto CA, San Bernardino, CA.